With any respectable airsoft and MILSIM community, you obviously need to have a few threads to showing your stuff off. 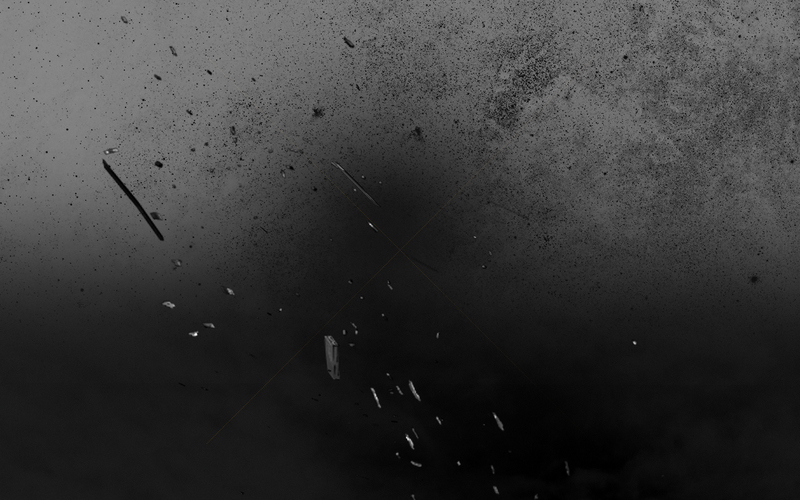 Since this is a MILSIM-oriented site, I would hope I am correct in my assumptions here. 1. Use these kinds of threads as a building block to learn. Some people have the high end gear, others have replica gear. That's not the issue. What we need to learn is why someone bought something, why they use it and the rationale behind the rig. 2. Post a full kit list. All of us want to know what we're using and why. A description would be appreciated of the specific things on your rig! 3. This is for Belt Kits. Rigger belts, Warbelts, armor belts are all welcome here. This belt gives me two extra mags with great retention, no slip and easy pull for AR and pistol. Gives me a pistol and a dumper. Nothing more really needed. ATS makes the best bang-for-your-buck Warbelt you can imagine. Snug fit, not too big, not too small and holds a lot. I believe every single member of SABRE owns one of these Warbelts from ATS. I also run an HSGI suspender set because they are awesome, comfy...and usually stay snug. No it's not a thigh rig...I'm a small man. Lol. This is my First Line. Nades subbed for mags when needed. The base is an HSGI sure-grip padded belt. 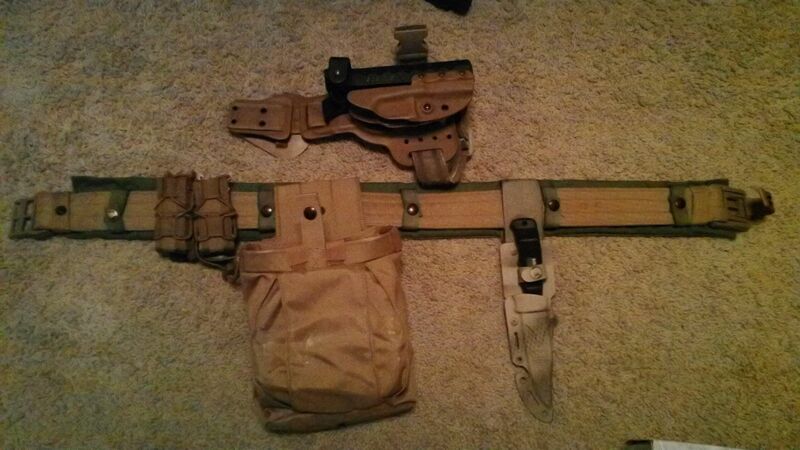 Eagle and ESSTAC pouches hold my mags, where PIG, ATS and 5.11 hold everything else. A Safariland 6005 holds my Glock. Here's an older belt kit of mine. 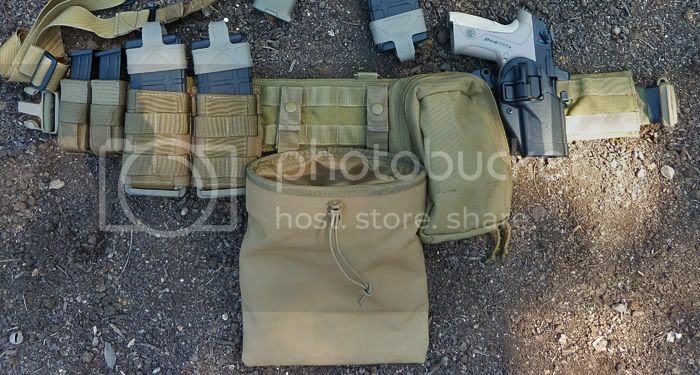 Still have most of the basics, but I sold off the sidearm and a few pouches. Currently working to pick all of that back up. Sabre 11, upside down mag pouch reminds me of paintballing days. Nice touch, I'll have to configure my belt kit sometime. Do the right thing - because it is the right thing to do..."
I'm wearing my Weesatch right now! Good looking stuff there.. Good ideas! My belt rig is pretty simple. I have the Eagle personal retention lanyard, Gerber Multitool, Eagle SFLCS IFAK (being replaced with SOtech one as we speak), a small medical kit (I am diabetic-it holds my insulin), I would also almost always have my SERPA hip holster or safariland 6004 leg holster on along with my KWA Glock 17 and BDS tactical pistol retention lanyard. The belt itself is a Spec-Ops Riggers belt that I cut down a little bit to fit me better when wearing a hip holster. The gloves are the best gloves I have ever touched (I have touched a lot of them ). They are Outdoor Research Overlord Shorts. HIGHLY recommended. Haha, upside down mag pouch isn't really upside down. They're open on the top and bottoms to accept the ESSTAC KYWI inserts. I use a 'REALLY' simple belt kit! I have been looking at the HSGI belt, but your ATS looks pretty nice. How the do post pics? I'd rather go down the river with seven studs than with a hundred shitheads"
Usually you post them to a free sharing site like ImageShack or Photobucket. Or you can upload them to the gallery at the top. I also run the ATS War Belt, but I would personally go with the HSGI Sure Grip or Viking Tactics Brokos belt if I had a to buy a new one. The ATS, while it performs well, doesn't grip to the user. It's very easy for the belt to ride too high or too low and move WAY too much if you don't have it set just perfectly. "If the enemy thinks of the mountains, attack like the sea; and if he thinks of the sea, attack like the mountains." The duty belt is extremely stiff and for me it keep the whole system locked into place. It has a thick plaster liner sewn into the belt to keep the whole thing firm. I did have to cut off a good chunk of the front of the belt though, as they have it set up to over-lap for "extra secure" closure. This part is worthless when using the belt as a liner for a battle belt. This is the two quart design. Instead of using this for water, I actually keep my IFAK in it. It is perfectly sized for the the quad fold insert on most issue IFAK kits. On top of the standard IFAK loadout in there, I also have quick clot, ACS's and extra gloves. I keep this stocked due to it's dual use in airsoft and at the range. I keep my IFAK on my 1st line in case of having to get rid of the plate carrier. Some users state that the belt does not lock down for them, such as 08. I attribute this to two things, body type and inner belt type. The use of a properly sized STIFF inner belt is crucial with this belt. The inner liner is a soft cloth type of material, and seems to mesh with nylon rigger's belts quite nicely. Body type, this belt seems to work great on us thinner folks. -I swapped out the Battle Lab suspenders for the ATS low profile suspenders that correspond with the batte belt. The Battle Lab suspenders seem to get semi-irritating when used with my Eagle PC, something about the H style suspenders just doesn't cut it. The ATS ones are the two-piece cross over type, and seem to stay out of the way. -I also swapped out my Rolly Poly for a Blue Force Gear 10-speed SSE/Dumper. At first this dumper did not work well, as the "mouth" would not stay open. A simple 10" through the rim of the dumper, and locked in place proved to solve this problem. This setup is still flexible enough to stow back into it's elastic keeper VERY easily. I will post an updated photo sometime soon. I like the grip aspect of the HSGI, so that is good to know. I am so impressed with my RG Suregrip setup, I order my CB SureGrip last night with the Cobra Belt. As most of you know, I am a skinny mofo. It's hard to keep anything around my waist. The SureGrip not only fits the operator, it moves with him/her. It stays in place even with all the swinging drop legs, dump pouches etc. Definitely worth the price tag. IMO. Here’s my kit when we run green side and during hot weather down here in South Florida. Mostly Condor stuff with a few exceptions can’t complain about it. I added some vinyl sheeting to give it some rigidness. Works great! Belt stays in place and it doesn’t ride up or down. Emdon-MM CM belt, with belt pad. 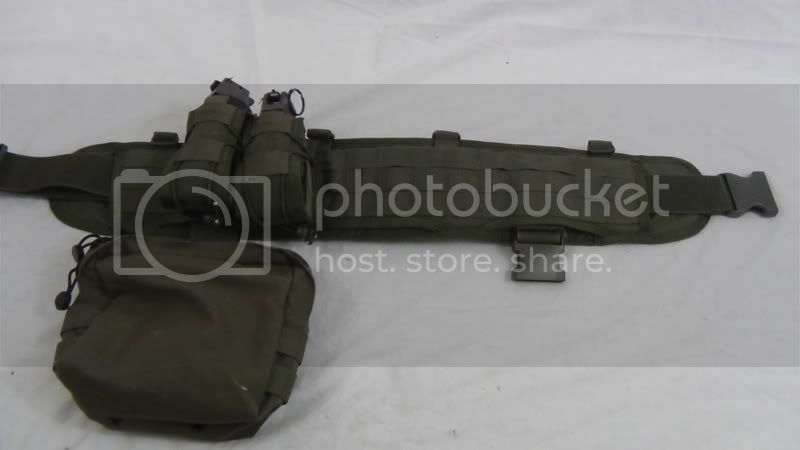 Currently my IFAK is located on my chest rig but I have been thinking about relocating it to my belt or adding a blow out pouch. Emdon might get replaced with a HSGI sure grip in the very near future.